Maoist rebels attack and kill more than 70 policemen in central India after the government unleashes a campaign to seize land and hunt down the group’s leaders, we’ll re-broadcast excerpts of an interview with legendary Indian essayist and novelist Arundhati Roy, who talks about the struggle in context; and we’ll re-play a Flashpoints investigation into expanding lethal Israeli attacks against Palestinian children. This week on the Best of Flashpoints, we speak with investigative journalist Alan Nairn on the run in Indonesia. Nairn just broke a major story on the killings of civil activists in Indonesia by the military. 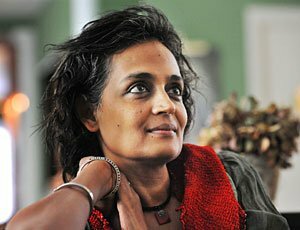 Also, Arundhati Roy speaks about her visits w/the Maoist rebels in central India as well as legendary enviornmental activist Mike Roselle and we’ll hear a report on the expanding militarization of the U.S./Mexico border and it’s lethal impact on migrant workers. Today on Flashpoints, we’ll speak to legendary radical environmental activist Mike Roselle about his on-going struggle to end the devastating mining practice of mountain-top removal in the Coal River Mountain Range. 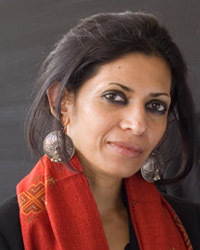 Also, We’ll speak to Angana Chatterji about a crucial benefit with Arundhati Roy to support The International People’s Tribunal on Human Rights and Justice In Indian-Administered Kashmir; and we’ll get a live report from Miguel Gavilan Molina on a march and rally for immigrants rights taking place in San Francisco.